We’d love your help. 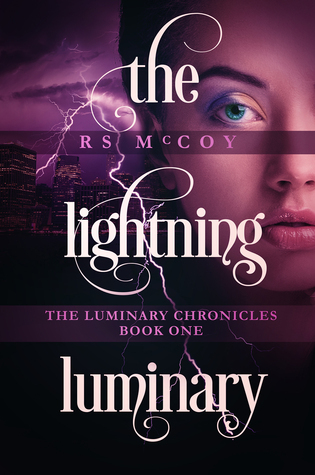 Let us know what’s wrong with this preview of The Lightning Luminary by R.S. McCoy. And for generations it worked. Talia's hermit lifestyle protected her from strong Luminaries that want h Talia Stanley may look like the typical wealthy New Yorker, but she's hidden her secrets for more than a thousand years. One of the last surviving members of an ancient race called Luminaries, Talia has suppressed her ability to control lightning in exchange for safety. To ask other readers questions about The Lightning Luminary, please sign up. She’s been hiding in plain sight for centuries. The beautiful Talia Stanley has been alive for ages, so very little about the lives of normal humans take her by surprise, until she meets Mason, in what could be described as an electrical moment. She assured he received medical care and washes her hands of the unconscious man. But, hey, you know how Fate can step in, right? Talia is gifted, a member of an ancient race called Luminaries and her power of controlling lightning has been self-suppresse She’s been hiding in plain sight for centuries. The beautiful Talia Stanley has been alive for ages, so very little about the lives of normal humans take her by surprise, until she meets Mason, in what could be described as an electrical moment. She assured he received medical care and washes her hands of the unconscious man. But, hey, you know how Fate can step in, right? Talia is gifted, a member of an ancient race called Luminaries and her power of controlling lightning has been self-suppressed. To unleash her power is to invite discovery by Hadrian, an evil being who needs a son to turn his legacy of nasty over to. His wives and concubines have failed him, but he is sure Talia is strong enough to provide him what he desires. Meanwhile, completely and blissfully ignorant to the dangers and powerful beings around him, mason hunts Talia down to thank her in his quirky and persuasive way. Was it the innocent charm that Mason possessed that caused Talia to break all of her rules regarding caring for a human? Her past is riddled with pain and loss, but here she is, falling for him and it is more than insta-love! Of course, the plot thickens and Hadrian is on her tail and…Yep, you HAVE to read this one from R.S. McCoy! THE LIGHTNING LUMINARY promises a fascinating series to follow! Not too dark, not too heavy, not too sweet, R.S. McCoy has created a tale that is just right for paranormal lovers everywhere! Fast, fun and fresh! I received this copy from R.S. McCoy in exchange for my honest review. NOOOOOOOOOOOOOOO! WHY?! WHY MUST IT END?! DISCLAIMER: If you DO NOT enjoy nail-biting endings of complete and utter torture cliffhangers, this is NOT for you! So, I've gotta be honest with you, I pretty much only really like reading historical romances with a few contemporaries here and there. Paranormal isn't really my thing. Can I just say right now that McCoy is an absolute genius! She made me a believer in paranormal romance. This book has it all: action, adventure, romance, suspense, and so much more to offer. From the characters to the settings, McCoy does a wonderful job transporting you to a different world where time stands still and the Luminaries come out to play. What are Luminaries, you ask? Well it's a little difficult to give you a typical dictionary definition, but the general idea is that they are humans with special gifts. Some, like Talia, can control lighting while others can heal wounds, transport from place to place, or track down other luminaries. All these luminaries are beings that have lived for thousands of years, since their aging process takes longer than the average human, and they are all survivors from an ancient Greek race. Talia has been hiding from the evil Hadrian, the leader, the King of Death, who we in modern times think of as Hades. He's a power hungry lunatic who basically wants to find Talia so they could produce powerful offspring for the army he has planned. Talia has managed to remain hidden for over a thousand years until an ordinary, handsome man named Mason walks into her life unexpectedly. Both have secrets, both have baggage, yet the powerful attraction they have for each other is enough to break down all the barriers in between. And JUST when Talia thinks she has been suffering in the shadows for too long and decides to take a leap, her past catches up to her. Now, not only is she looking out for herself, but she must protect Mason as well. PS: This book has some disturbing elements involving the burning of innocents, with hinting at an incestuous relationship (Have you read Greek mythology?). If this is something you would be very much against, PLEASE don't read. Just smile and share to someone you think would enjoy the story. I REALLY loved this book! It’s been a while since I’ve read something this good. I’d love to have it in hardcover. I ended up enjoying the alternating POVs. At first it was a little bit much to handle, but since we kept returning to the same characters more than others I knew where the main storyline was. (And I had a hunch.) It all came together quickly enough. It was quite an engaging read. I couldn’t put it down. The writing was excellent—and only a few mistakes. The plot was really cool. I lov I REALLY loved this book! It’s been a while since I’ve read something this good. I’d love to have it in hardcover. The plot was really cool. I love how it wove in Greek mythology elements—my favorite kind of elements. It was super neat without being too much all at once; It wasn’t at all an information dump, despite having so many POVs. We knew just enough at all times. I really liked the characters. I liked how they were all so different. Each one definitely felt layered, even the ones I didn’t expect to have a bigger role. I was surprised (pleasantly) several times. Talia was appropriately mysterious and gave off this air of sophistication—you could definitely tell she was an old soul. Mason felt enthusiastic, young, and passionate. Hadrian, the bad guy, was ruthless and cruel, but he let his former self shine through at times. It was really cool seeing such lifelike characters. It was a tragic ending, but it’s only the first in the series. There’s room for happiness yet, and even better, a mission. Several, in fact. And several matches that need to be made. I’m hooked! I don’t know exactly what’s going to happen, but whatever it is, I’ll be along for the ride. The multiple POVs were a bit weird at first, I don’t generally like them because they can be written badly or something but this time it wasn’t too bad and it really helped me connect with every character. And what great characters they are! Talia, Mason and even Hadrian were very well developed and I enjoyed reading about them. This book was just great, even though it left me with a super bunch of questions that I hope get answered. I was certainly NOT expecting that ending though and I can’t wait to read whatever comes next. Just incredible and I wish I had a hard copy instead of digital to add to my small collection! I love this author so I was excited when I saw she had written a new book. I purchased it immediately and I couldn’t wait to start reading it, but as usual, life got in the way. The saying goes “All good things come to those who wait.” Well, I waited and I was rewarded. I admit I was a little confused at the beginning because of the number of characters who lived in different parts of the world and because the POVs constantly changed, but since I’m a visual person I made a few notes and then I wa I love this author so I was excited when I saw she had written a new book. I purchased it immediately and I couldn’t wait to start reading it, but as usual, life got in the way. The saying goes “All good things come to those who wait.” Well, I waited and I was rewarded. I admit I was a little confused at the beginning because of the number of characters who lived in different parts of the world and because the POVs constantly changed, but since I’m a visual person I made a few notes and then I was set. Once I had those characters firmly in my head, I was off and I was very annoyed when my reading time was interrupted. I was in love (or hate) with the characters and I wanted to know what happened next. I’ll also admit I’m not a fan of cliff hangers, but since I knew this was the first book in a series, I wasn’t surprised. Okay, I was a little upset, but not enough not to give up on this series. In fact, I’ll probably read this book again before starting book two. I gave The Lightning Luminary 5 stars, but please hurry up and write the next one. I am still holding out hope that Mason is more than just a void. I believe there is something about him. Especially since he has Talia’s heart. He is who I feel the most for him and the man who has the poison that he can have come from his fingers. That poor dude. This is an interesting story. You need to pay attention though because we have so many players and even though it all falls under one plot it seems like more. Each chapter is from someone different. Talia and Mason are the two main char I am still holding out hope that Mason is more than just a void. I believe there is something about him. Especially since he has Talia’s heart. He is who I feel the most for him and the man who has the poison that he can have come from his fingers. That poor dude. This is an interesting story. You need to pay attention though because we have so many players and even though it all falls under one plot it seems like more. Each chapter is from someone different. Talia and Mason are the two main characters and what is happening between them is important but why Talia is important in her world is fascinating. I mean to be that powerful and able to hide for so long is incredible but to have the pull twice to voids and sacrifice what she did for Mason was just amazing. I don’t believe though that Talia can solve the problem but I also believe that there is something about Mason that makes him standout more than just his love for Talia. There is something there but what I don’t know and it fascinates me more. Talia is a luminary. Her power deals with lightning and being able to control it. A luminary with a pull to a void. A luminary that everyone thinks could end the reign of terror on their island. A luminary that everyone is interested in finding. Grigori who is the one who finds Talia and accidentally leads everyone to her is one who can jump from different places. Why does he give up his hiding? well that is due to his pull to a powerful shade named Jamie. This young woman wants to kill the man who killed her mom also known as dear ole dad. Unfortunately dear ole dad is a tyrant and can absorb others powers and use it. He is powerful, scary and dangerous. He’s also off his rocker and wants a . son. So much so that every child that is born that isn’t a son he wants dead and the moms don’t fare any better. Cue in where Talia comes in. this is the only whole blooded luminary who hasn’t lain with him and had a child with him. She is everyone’s hope to end the terror and give him what he wants. And Grigori who has a pull to Jamie helps with this. He didn’t mean to but did. I love Mason and how accepting he is of who Talia is. He is kind and odd. Sweet and brave. Still believe he is more than they are saying. Talia is strong when needed to be and her sacrifice at the end wow..these two together show us such compassion, passion and strength. Can Talia & Mason Fight off these Ruthless Gods and Find Love ?? This is another series by RS McCoy. I have become an avid fan after I read The Extraction Files. 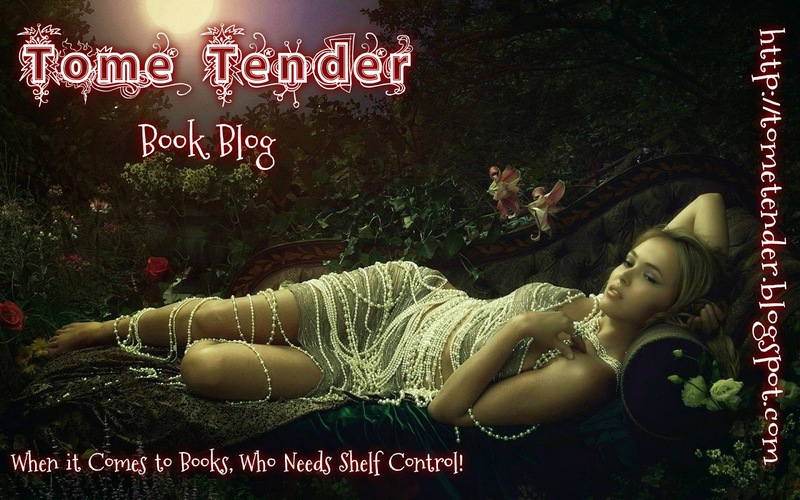 Her stories are so original, even if some of them are retellings like The Alder Tales series. RS McCoy has earned a spot in my favorite authors list because of her amazing talent and skill in spinning stories that had me hooked right from the start. The Lightning Luminary is again another start one of these very gripping series. This story is based on the ever-popular Greek mythology. And you may ask, This is another series by RS McCoy. I have become an avid fan after I read The Extraction Files. Her stories are so original, even if some of them are retellings like The Alder Tales series. RS McCoy has earned a spot in my favorite authors list because of her amazing talent and skill in spinning stories that had me hooked right from the start. The Lightning Luminary is again another start one of these very gripping series. This story is based on the ever-popular Greek mythology. And you may ask, what's so original in this story? A lot of books, novels and series have been based on Greek mythology. In fact, it's like Greek mythology is a go-to subject for almost all writers, whether bestselling or not. It's a very rich and broad subject that authors can play with it, whichever way. What's the difference in this story? These are exactly the same questions I asked when I learned that this was based on Greek mythology. But being familiar with RS McCoy's writings, I know there are always fireworks of twists and a bombarding surprise waiting. Well, what I could tell you is, this is not a book about demigods. Luminaries are a set of humans with powers. According to this book, the stories about the Greek Gods were actually about the Luminaries that were twisted, added on and changed as it was passed on through the ages. There is some basic truth to them but they are not all that accurate. As I said, having read all the other stories from RS McCoy, I think this one was slower in pace. It seemed to take its time. There seemed to be no hurry. It has its own pace. But it doesn't mean that it was not gripping or less entertaining. The plot alone is very curious. With Greek mythology stories abounding and given a spin a thousand one times, you wonder what this story can offer. This is another unique take. The characters are all very interesting with their own personalities and quirks. The main male protagonist, Mason, I think is not all that he seems. I think he is not just an ordinary human or Void as what humans with no powers are called in this story. I think he has something more in him that even he doesn't know. I guess, I will have to find out in the next books. I am looking forward to it. This first book like most series starter, introduced the important characters of the series. A hint and a primer was laid to at least give the reader what could be expected in the next book. A strong, vicious and formidable enemy was established and note--he can't be killed. This alone made for a very very tasty sampler of chaos and grand quests to come. Aren't you teased? And the ending, could it be true? Have our good friends (the good guys) found another ally? And is this one for real or he has his own motives? Questions. Questions and more questions are all I have after reading this book. This is just the start, yet our good friends are already up against a very mighty foe and if stories are to be believed, he can't be vanquished. What does this mean? Ah, yes, series are sometimes frustrating because you will have to wait for the next book to find out what will happen next. In the same way, it fuels your imagination while waiting for the next book to come out. And if it does, then the author was effective because she has roused your creative cells from their deep or temporary slumber. And we all could use a little creativity or just a little brain function. I give the book 4/5 bolts of lightning. Four because of the unhurried pace. Four because the series is just starting and I know that a lot of surprises are in store in the next installments. I can't wait. They were tip-toeing around the minefield of their histories. Thanks again, RS McCoy for the copy. This is the first book in a brand new series called the Luminary Chronicles and I am in love! I am a huge fan of the paranormal genre and this is one of the best stories in this genre that I've had the pleasure of reading in quite some time! I love everything about this amazing series and how each of the characters possesses a special power that makes them unique even amongst their own kind. I absolutely love the idea of a magical world right alongside ours where people exist that can do amazing This is the first book in a brand new series called the Luminary Chronicles and I am in love! I am a huge fan of the paranormal genre and this is one of the best stories in this genre that I've had the pleasure of reading in quite some time! I love everything about this amazing series and how each of the characters possesses a special power that makes them unique even amongst their own kind. I absolutely love the idea of a magical world right alongside ours where people exist that can do amazing things that we can only dream of and this story has that in spades! This author does an incredible job of creating a world filled with magic and suspense that I never wanted to leave and I can't wait to see what's going to happen next! I highly recommend this to anyone to read. This book jumps right into the action and follows several characters. The chapters are broken up between characters and have minimal overlap so you get to see different sides. The chapters continue during the same event so you get to see the different perspectives, but also you get to learn a little bit more of what is actually going on in the story. I love that in the book we get to see so many different perspectives from different people, but we also get a bigger picture. The story is told thr This book jumps right into the action and follows several characters. The chapters are broken up between characters and have minimal overlap so you get to see different sides. The chapters continue during the same event so you get to see the different perspectives, but also you get to learn a little bit more of what is actually going on in the story. I love that in the book we get to see so many different perspectives from different people, but we also get a bigger picture. The story is told through the eyes of Mason having a seizure and ending up in the hospital, Talia who is having trouble with her accountant and might need to run again, Jamie who can track luminaries, Eudora a healer luminary who is trying to save people, and Larisa who is a wife of the Hadrian who only wants a son. The book mainly focuses on Talia and Mason as they are trying to figure out their relationship, but we do get the overall story that Talia is being hunted by Hadrian because he wants her to give him a son. This may seem overwhelming at first with so many characters, but the story is easy to follow along. The different perspectives really allow the reader to get a complete picture of what is going on. I love Talia as a character I felt really connected with her. She has lived many years and has taken the precaution of staying away from people and always protecting herself. Talia has seen so much in her life she is avoiding love and being hurt. I love that during the book Talia is able to take a leap of faith with Mason and try to go back out into society. She is very educated and a smart women who is just trying to stay safe and keep the people she loves safe. Mason was another great character the author did an excellent job with developing. He seems so naive when we first meet him with the seizure and waking up disoriented, but he really picks up and accepts everything that is happening to him. He is very real and adaptive to what is going on. Mason is much stronger then he originally appears. I love how the story jumped right into the action. It made the book easy to read and a want to read. I wanted to figure out what was going on with all of the characters and what was going to happen to everyone in the end. This book is part of a series and the ending of this book sets up a great cliffhanger so I personally want to read the next book to see what is going to happen next. I would suggest this as a nighttime read. It is easy to follow along in the book so it is easy to pickup and put down while reading. This was a beautiful story interwoven with Greek mythology. There is so much going on in the book that it needs to be devoured slowly to take everything in. The story starts off by introducing the main character Talia. However, it quickly introduces you to a slew of other characters that can be difficult to keep track of. We don't see Talia again until nearly a quarter of the way into the book. That worried me some. However, each time we were taken back to a character, we were given just enough This was a beautiful story interwoven with Greek mythology. There is so much going on in the book that it needs to be devoured slowly to take everything in. The story starts off by introducing the main character Talia. However, it quickly introduces you to a slew of other characters that can be difficult to keep track of. We don't see Talia again until nearly a quarter of the way into the book. That worried me some. However, each time we were taken back to a character, we were given just enough of a clue to remind us who this character was. Soon I was able to remember who everyone was. But I'm still full of questions about relationships, history of the characters, and much more. The book ends without a full resolution. However, you can see where the next story will go. This is the only reason I'll forgive the author for the cliffhanger. If you like mythology, I definitely recommend this book! I may have to reread it and take some notes before tackling book 2. The Lightning Luminary is told from a number of perspectives, Mason and Talia being the main ones. Through their telling, we find out that Mason has an 'ordinary' life, whilst Talia is hiding from an old enemy - one who has already killed a lot of her friends and family. When they meet by chance on a train, Mason has a seizure that lands him in hospital. Upon his release, he find outs that Talia is one who helped him, so he tries to thank her. It took a while for this story to settle down, but o The Lightning Luminary is told from a number of perspectives, Mason and Talia being the main ones. Through their telling, we find out that Mason has an 'ordinary' life, whilst Talia is hiding from an old enemy - one who has already killed a lot of her friends and family. When they meet by chance on a train, Mason has a seizure that lands him in hospital. Upon his release, he find outs that Talia is one who helped him, so he tries to thank her. It took a while for this story to settle down, but once it did, I was fully invested in the characters, what they were going through and why. I have numerous questions left over, which I am sure will be answered in later books. Being part of a series, it doesn't make sense for everything to be answered in one go! Well written, with distinctive 'voices' for each of the perspectives, this is an enthralling read that will definitely leave you wanting more. Recommended. In this novel, luminaries are humans with supernatural abilities and extremely long life spans. Talia is a luminary in hiding from her husband, a man whose power and invulnerability has turned him into a tyrant. While hiding, she meets and falls in love with a mere mortal, Mason. Eventually her past catches up to her and she and Mason must face it together. I really liked the idea of ancient super humans living among us and most of them hiding from an evil one who cannot be killed. It had a great In this novel, luminaries are humans with supernatural abilities and extremely long life spans. Talia is a luminary in hiding from her husband, a man whose power and invulnerability has turned him into a tyrant. While hiding, she meets and falls in love with a mere mortal, Mason. Eventually her past catches up to her and she and Mason must face it together. I really liked the idea of ancient super humans living among us and most of them hiding from an evil one who cannot be killed. It had a great romance too and I immediately found both Talia and Mason to be very likeable. Many of the secondary characters were a bit underdeveloped and thus I didn't care much about them or their fate. However, there were five characters that were very well developed and really drove the story forward. It had a very good page-turner quality for me and I finished it within a few days of starting it. I'm really looking forward to the next book. A chance meeting on a train brings Talia & Mason together. Talia is a luminary who has a habit of falling in love with humans and Mason has lead a daily normal existence and is sensitive to her powers causing seizures. A lot of questions were left unanswered at the end of this book leaving it open to further books in the series. This one is a bit different and it took me a while to get into the groove of it, but once I did, I was in deep. I loved Mason and Talia. They were so sweet with each other and it was neat to see their personalities change when they were near each other. I also really loved Jamie and Grigori. Jamie was a great character and I loved seeing her interactions with Grigori! The end had a super cliffhanger and I'm dying for the next book! Received as goodreads giveaway. This is a very interesting story with similarities to the greek god myths. The writing is excellent I could not put it down. I understand this is to be a series and I cannot wait to read the next installment. I do however wish the author did a better job of closing out each book separately, the cliff hanger method does not work for me in books. That is the only reason I could not give 5 stars. hmm honestly this was really hard for me to connect with, and to get into as well. I will have to think about it some more before can write a review! Loved this para normal fantasy book. Super powers, Grecian gods, good and evil. Half humans in hiding that are centuries old but don't age. Mason and Talia, main characters are believable and endearing. Can't wait for the next book. Nice bit of romance without going over the top. Rachel McCoy is a Texan living in Baltimore. Between binge-watching MTV reality shows and baking gluten-free treats, she writes paranormal fantasy and science fiction novels. She is the USA Today Bestselling author of the Sparks Saga trilogy, The Alder Tales series, and The Extraction Files. Back when she lived in the real world, Rachel earned a degree in marine biology, which contributed to her d Rachel McCoy is a Texan living in Baltimore. Between binge-watching MTV reality shows and baking gluten-free treats, she writes paranormal fantasy and science fiction novels. She is the USA Today Bestselling author of the Sparks Saga trilogy, The Alder Tales series, and The Extraction Files. Back when she lived in the real world, Rachel earned a degree in marine biology, which contributed to her die-hard love of manta rays. To connect with RS McCoy (or swap recipes), visit her on her website (www.rsmccoyauthor.com) or check out her Facebook page (www.facebook.com/AuthorRSMcCoy). You can also join her newsletter to receive release updates, free stories, and bonus extras (http://eepurl.com/YItp1).